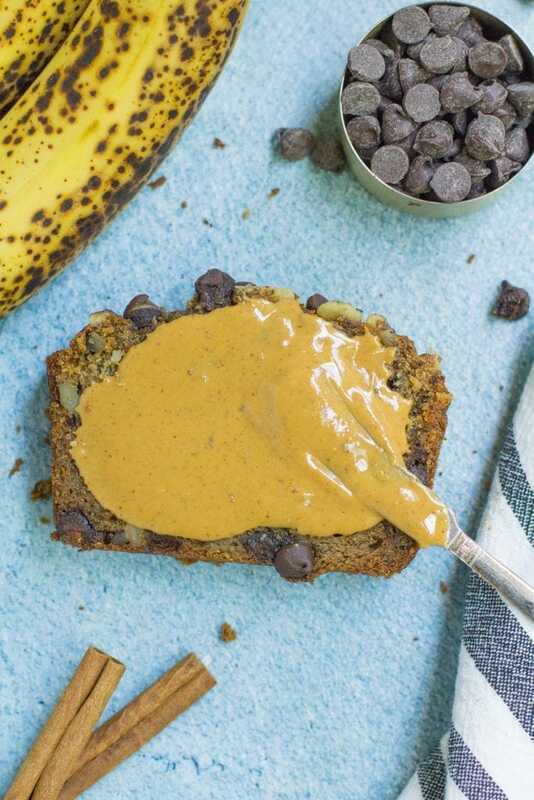 This Healthy Banana Bread is seriously THE BEST. I know that is a very bold statement, but it’s true. 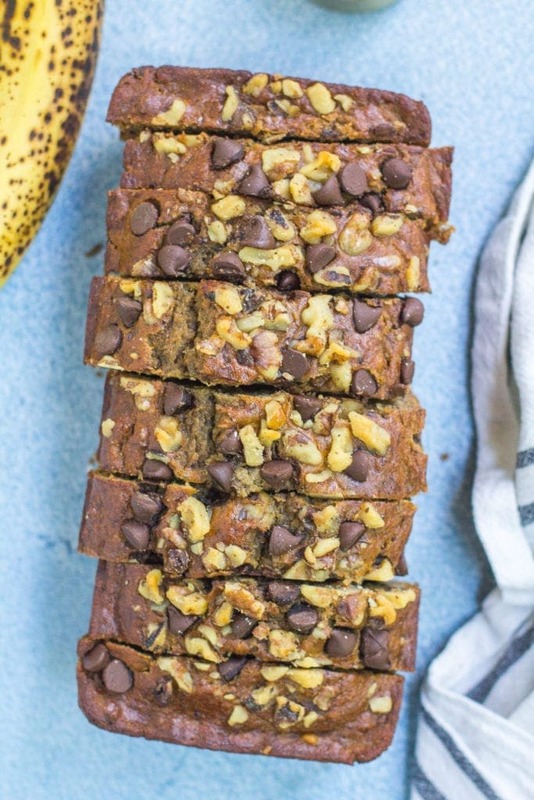 It’s naturally sweetened with only bananas, honey and applesauce (no refined sugar! ), packed with whole grains, and perfectly moist! 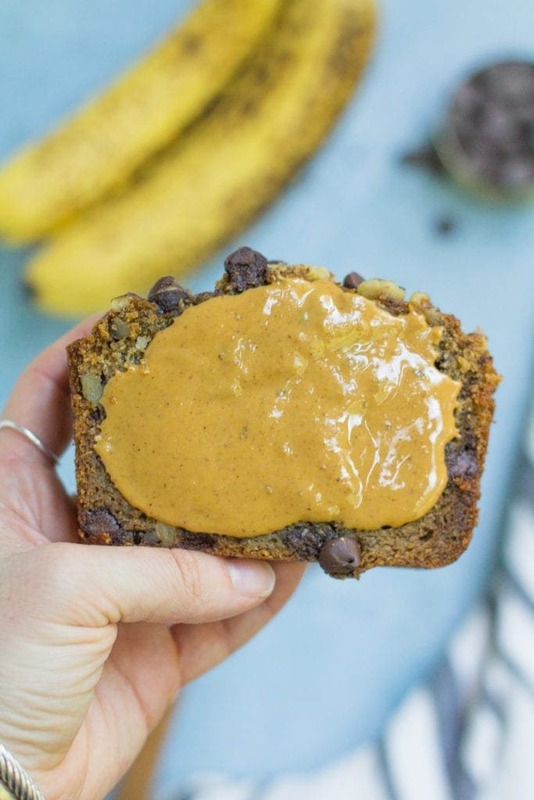 Easy to make with basic pantry staples, this Healthy Banana Bread will definitely be a favorite in your house! Why is this banana bread healthy? Low in sugar – This recipe is sweetened only by ripe bananas, a touch of honey and applesauce. 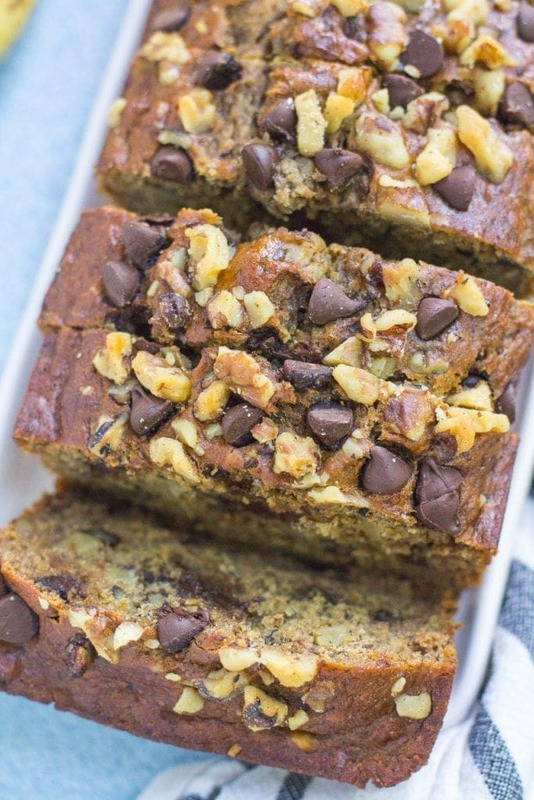 (and some chocolate chips for good measure) Many banana bread recipes are loaded with sugar, but this has only 19g of all natural sugar per slice. 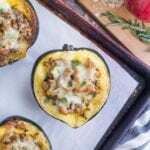 Heart healthy fats – Instead of using butter or canola oil, this recipe uses coconut oil to keep it moist, and it also has some walnuts in it for healthy fats! Now, let’s get into baking this banana bread. Step 1: Mash your bananas. I like to use a fork and usually pop the bananas in a microwave for about 20 seconds before mashing so they’re easier to work with. Step 2: Whisk in your wet ingredients until smooth: honey, applesauce, egg white + coconut oil. Step 3: Add in your dry ingredients: wheat flour, baking powder, baking soda, spices. Step 4: Add in chocolate chips and walnuts (the best part!!) You can omit walnuts if you have a nut allergy or don’t like them. Pecans also work. Step 6: Pour batter in a greased 8×4 loaf pan. See below for tips on how to not get your bread to stick to the pan. Bake per instructions. To me, banana bread is not only delicious, but brings back such great memories. Growing my grandma would often make mini banana loaf cakes for me, and I can remember enjoying it before I went to school in the mornings. 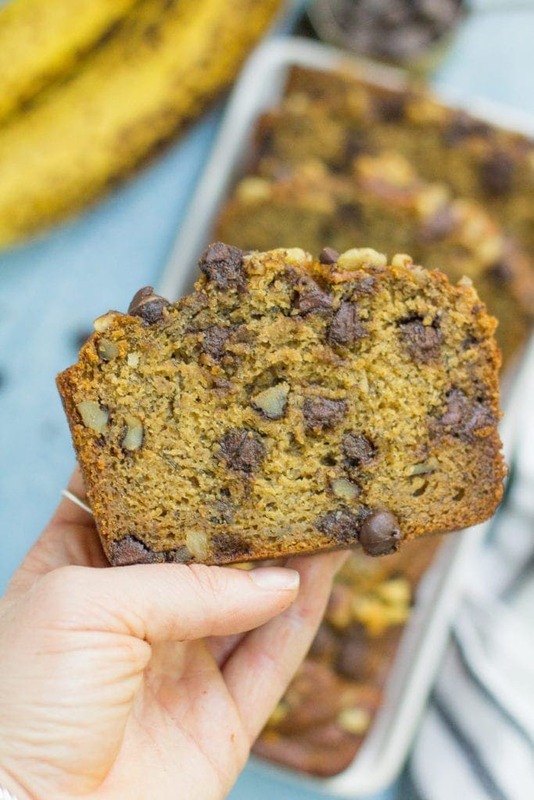 She still makes these cakes for us, and they’re still just as delicious, but I love my own twist on her recipe with this Healthy Banana Bread recipe! 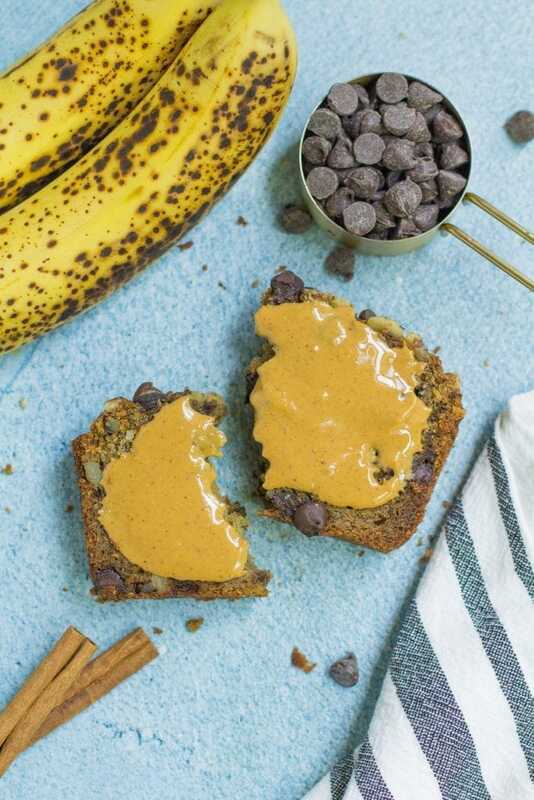 Whether you enjoy this healthy banana bread for a breakfast treat or with a cup of coffee as an afternoon snack – I think you’ll find that it’s tasty and comforting. 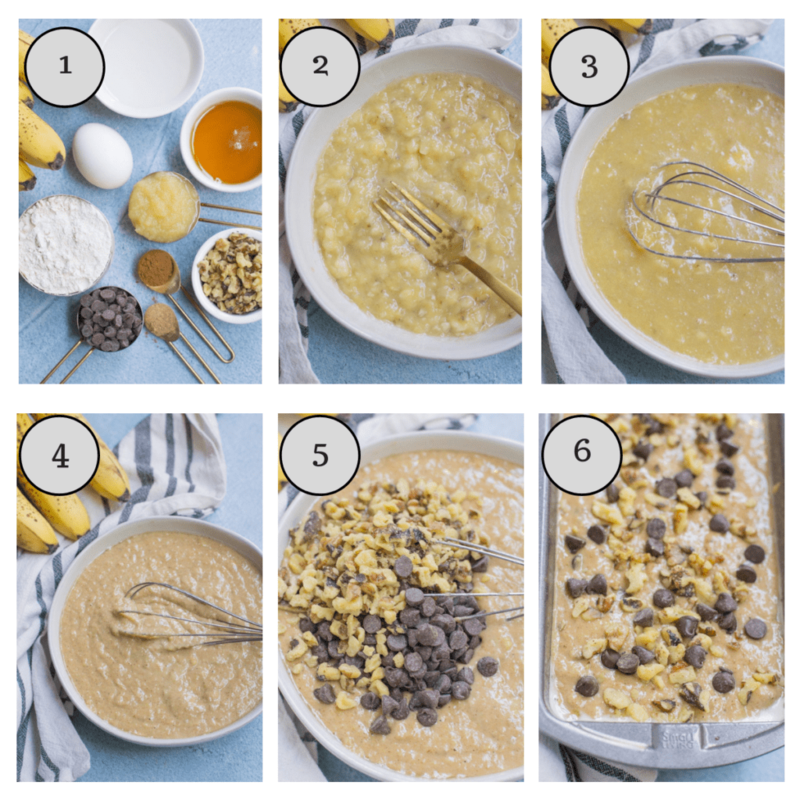 The warm gooey chocolate chips + crunchy walnuts add even more flavor and fun to it! To make nut free: simply omit walnuts. 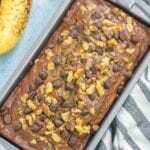 My bananas aren’t ripe.. can I still make this Healthy Banana Bread? Yes you can. For best results, your bananas should be brown and spotty like in the photos. As bananas ripen they get sweeter and softer, making them perfect for banana bread! However, as long as your bananas aren’t green, you can make this recipe. Yellow bananas will work just fine. I recommend microwaving them for about 20-30 seconds so they are easier to mash! You can store this bread covered on your counter for a few days, but I recommend keeping it in the refrigerator for maximum freshness! My banana bread is sticking to the pan..help! I typically grease my pan liberally with coconut oil. You can also line a pan with parchment paper . Allow the bread to cool completely for about one hour before trying to take it out of the pan. You can also run a butter knife along the edges of the pan to help loosen the bread before taking it out. 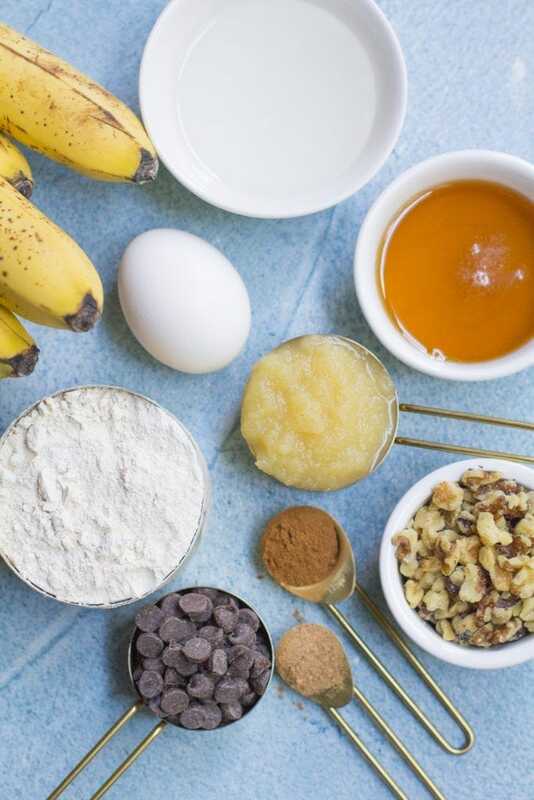 Healthy Banana Bread is made with just a few simple, nutritious ingredients. Easy to make + full of flavor - it's perfect for breakfast or snacking! Preheat oven to 350 degrees and prepare a greased 8x4 loaf pan. In a bowl, mash bananas with a fork until slightly clumpy. You can microwave them for 20 seconds prior to mashing to make it easier. Stir in honey, applesauce, egg white, and oil to banana mixture. Pour batter into greased 8x4 loaf pan. Optional: sprinkle with a handful of chips and walnuts on top. Bake for 40 -45 minutes until a toothpick or cake tester comes out completely clean when inserted in the center of the bread. Allow the bread to cool for 30 minutes. 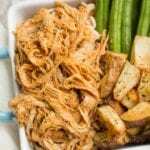 Store in an airtight container in the refrigerator to maintain freshness. -To make nut free: simply omit walnuts. We’ll definitely check it out! 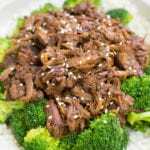 You could probably try it with almond meal but I’m not sure how good it would come out! We’ve made this banana bread a handful of times! 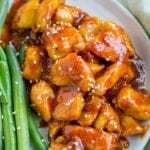 It is such a yummy recipe and I love that it’s low in sugars! I’ve made this almost once a week since the first time I tried it! I nanny for 2 VERY picky eaters and they request this banana bread all the time. 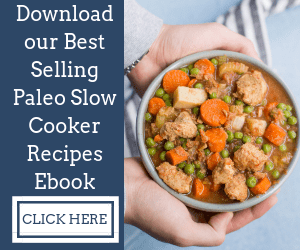 It’s so easy to make and absolutely delicious! 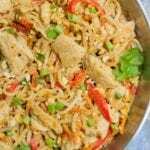 Can’t wait to make this recipe again! 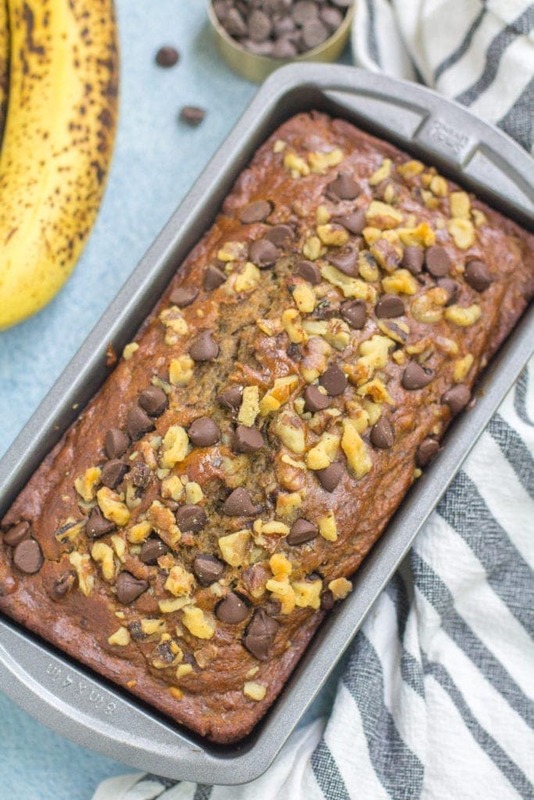 This healthy banana bread is so good and easy to make! As for the affiliate links – I’m sorry they bothered you, but quite frankly – this is my job and if I want to make a small commission by linking products on my website where I’m providing you with FREE content, I’m going to continue to do so. I clearly disclaim that there are affiliate links, as you noticed. Lastly, I just wanted to remind you that when you type out nasty comments behind your computer screen that there is a REAL person that reads them. Have you ever heard the saying if you don’t have anything nice to say don’t say anything at all? If not – maybe you consider putting that into practice. I LOVE your banana bread recipe! have basically been making the same thing, but adding the applesauce was a game changer! Also, got to say, I love your response to the nasty comment above. Your site is awesome! I’m so glad you like it, Varnica!! And thank you LOL! Mean people are the worst! These turned out great as mini muffins! I used a chia egg and pure maple syrup, and left out the nuts and chocolate. The tops get a nice crispy texture and they are so moist!!! My toddler loves them and I’m happy because there’s no refined sugar. 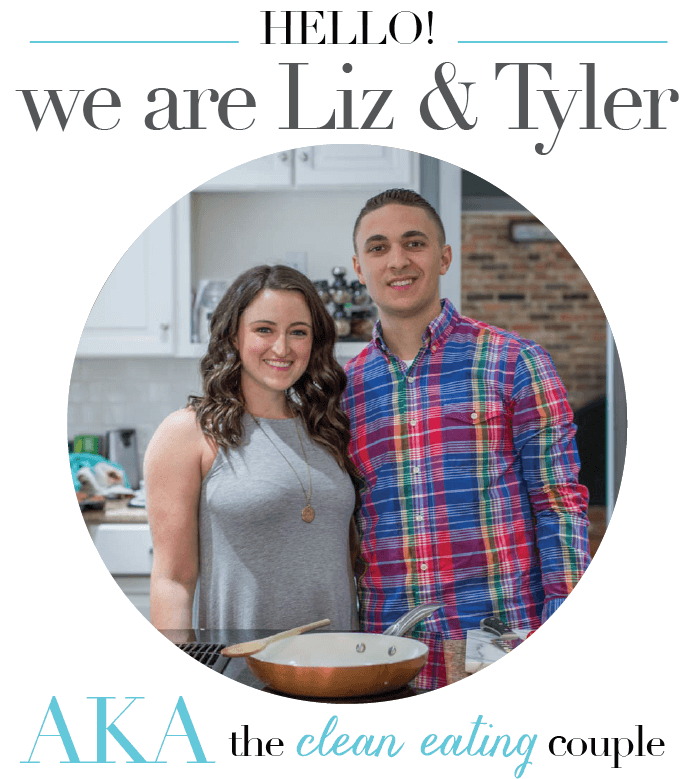 I will definitely be checking out some more of your recipes! Thank you! What is the spread you put on the banana bread? It’s just peanut butter 🙂 You don’t have to put anything on it, but peanut butter is delicious! Totally!! It makes it sooo much yummier! 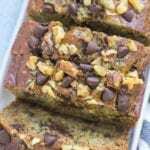 I have made this banana bread soo many times and I have to say it’s delicious and I love that there it is naturally sweetened. My kids, 18 month old twins and my 3 year old love it soo much. My 3 year old actually helps to make it and gets soo excited about it, lol. Anyways, thank you for a wonderful recipe. Keep them coming!!!! I’m so glad you like it, Annie!! And that your kids love it 🙂 That makes me so happy to hear! Followed the recipe exactly as stated but bread was extremely dry,any suggestions? Thanks ! Hi Mare – I’m sorry but I’m not sure why that would happen. 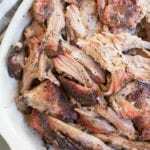 I’ve had hundreds of people make this recipe with no issues! Are you sure you used the correct ingredients + baked it at the right temperature?